Rudolf Arnheim has been known, since the publication of his groundbreaking Art and Visual Perception in 1974, as an authority on the psychological interpretation of the visual arts. 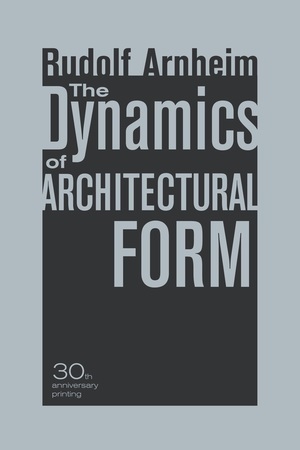 Two anniversary volumes celebrate the landmark anniversaries of his works in 2009. In The Power of the Center, Arnheim uses a wealth of examples to consider the actors that determine the overall organization of visual form in works of painting, sculpture, and architecture. The Dynamics of Architectural Form explores the unexpected perceptual consequences of architecture with Arnheim's customary clarity and precision. Rudolf Arnheim (1904-2007) was Professor Emeritus of the Psychology of Art at Harvard University and the author of many books, including Film as Art and Visual Thinking.